​Social Design can be a lot more than just beautiful: nowadays workshops with the right ideas succeed in having high-quality products made by physically, mentally or socially disadvantaged people. A look at three success stories of social integration. It’s one of those designs with instant appeal: a round knife block consisting of 900 wooden skewers held together by two stainless steel rings and placed on a plastic base. It’s a playful and thoughtful design, a solution of striking simplicity. Or take a breadbox whose lid doubles as a cutting board – by now a classic of the Side by Side portfolio. What do these designs have in common? They all feature simple and intelligent solutions that are attractive to the eye and environmentally sustainable. This three-pronged winning formula marks each and every product of the Side by Side label. Moreover, the fact that these objects are produced at workshops of physically disabled people has inspired admiration and wonder. The label showcased its first designs as early as 2002 in leading interior design trade fairs such as Ambiente in Frankfurt or imm in Cologne. Instead of playing the sympathy card, Side by Side relies on the first-rate designs of its now almost thirty designers. Their aim is to develop objects that require a production process involving many individual working steps, partly carried out on machines that have been specially modified for the task at hand. The strategy worked: the products proved competitive in the market and without having to play up the philanthropic aspect. “Apart from earning an income, having a structured daily routine, recognition for their work and secure employment are all important factors for the employees,” Sabine Meyer explains. Many of the 70 products in the portfolio are produced with local woods such as ash wood, oak and maple. 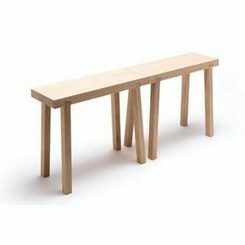 Bench | © side by side The surfaces have a natural finish or are treated with environmentally friendly oils, waxes and lacquer. The best-selling Mama clothes dryer, the smash hit that kicked off the collection, is also made of wood. A thousand units are sold every year – and travel far, even to Japan. For six years now, the Wind WineLight, with its soft atmospheric glow, has been the flagship of this collection which has already won several design prizes such as the German Design Award or the Red Dot Award. Collaborative ventures between designers and workshops for the disabled are nothing new in Germany. Designers were already pursuing this kind of projects back in the 50s. However, it is only in the last couple of years that implementation of these projects has really taken off. Aid organizations such as Caritas or Pfennigparade run and finance product manufacturing workshops across Germany. By now, online retailers such as Entia offer around 1,300 high-quality sustainable products made in over 100 workshops. 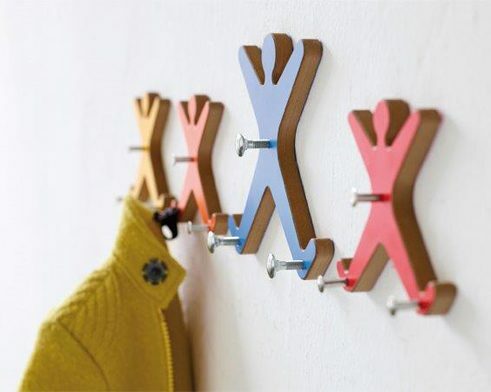 Coat hanger | © Fairwerk The Inntal Workshops of the Attl Foundation located in Wasserburg am Inn, also in Bavaria, have been making high-quality design products since 1996. 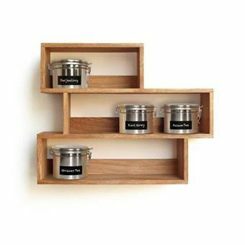 Marketed under the Fairwerk label, the product range has a line of beautiful wooden objects, such as stackable boxes and wine racks, made of local, untreated woods. In stark contrast, however, materials such as stainless steel and aluminum prevail in the design collection. These articles are manufactured in part by state-of-the-art computerized milling and turning machines that allow efficient mass production. The result: outdoor lamps, lanterns, tea light holders or office products created by freelance designers whose names, adhering to the foundation philosophy, remain anonymous. A network of retailers sell the products worldwide. Contrary to Side by Side or Fairwerk, disabled people or people from marginal groups working under guidance at Be able design their products themselves. “Design Empowerment” lies at the heart of the philosophy of these workshops in Berlin. Be able thus lays great emphasis on creative work and its therapeutic approach. Founded in 2010 by product designer Isabelle Dechamps, the project focuses on three main goals: the inclusion of marginal groups, a boost to creativity and self-esteem that will result in improved social competence. “For us, it’s all about enhancing self-efficacy in people. The design process and its resulting products constitute the means to making this happen”, Isabelle Dechamps points out. The portfolio comprises vases, bowls, paper notebooks or candles – a varied palette that can best be acquired online. As non-profit organization, Be able positions itself as the interface between craftsmanship and design, seeking first and foremost to endow people with skills, rather than focusing on the sales aspect. Franziska Horn graduated as a designer and works as a journalist specializing in the areas of design and modern life.